Bat Mirzvah’s are a special time for young girls and their families. This is a big occasion in the Jewish culture and is celebrated in a big way. It’s like a mini wedding with all the preparations including the perfect invitations. The parents, mainly the moms come in with their daughters to pick out the right design that is best suited for the theme. 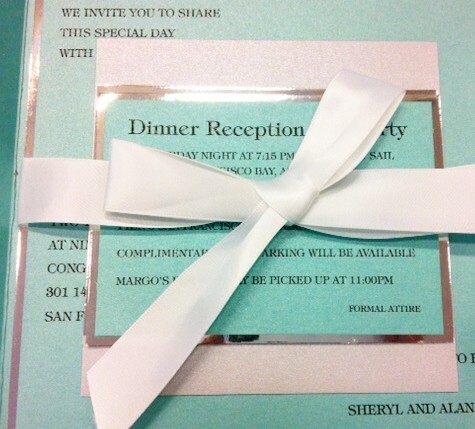 In this case our family chose this Exquisite invite form Lemon Tree Stationery with high end stock. Our clients also included the response card for their guests with little icons next to each response choice, including the star of David(We will attend the service and luncheon), a camera icon(We will attend the party, see you on the red carpet), and the Eifel tower(Sorry, we are going to be in Paris for Fashion Week). 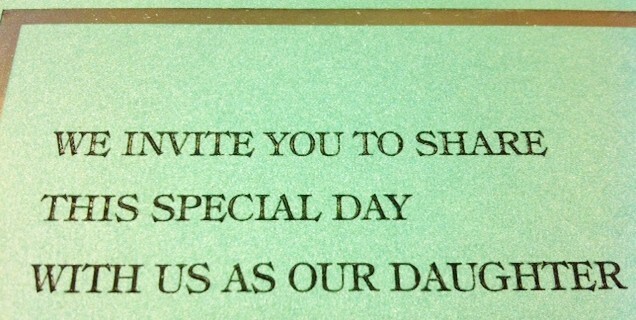 These are fun ways to offer choices for the guests when responding to the rsvp. Another special feature of this custom bat mitzvah invitation from Lemon Tree Stationery is that it doesn’t require a mailing envelope. All the invitation inserts are tucked in neatly in this envelofold. 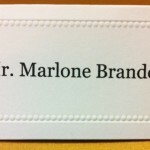 Our client had our hand calligrapher hand address the invitation and mailed it out, nice and simple. That’s the nice feature of the Envelofold, it incorporates the idea of a pocket invitation but it’s one big pocket instead of little pockets. 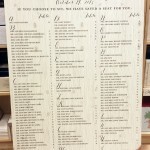 The wording above conveys the pride and honor the family feel for this special occasion as they invite their daughter to the Torah and celebrate with friends and family. Congratulations to our clients as they share a milestone for their daughter in a rite of passage.